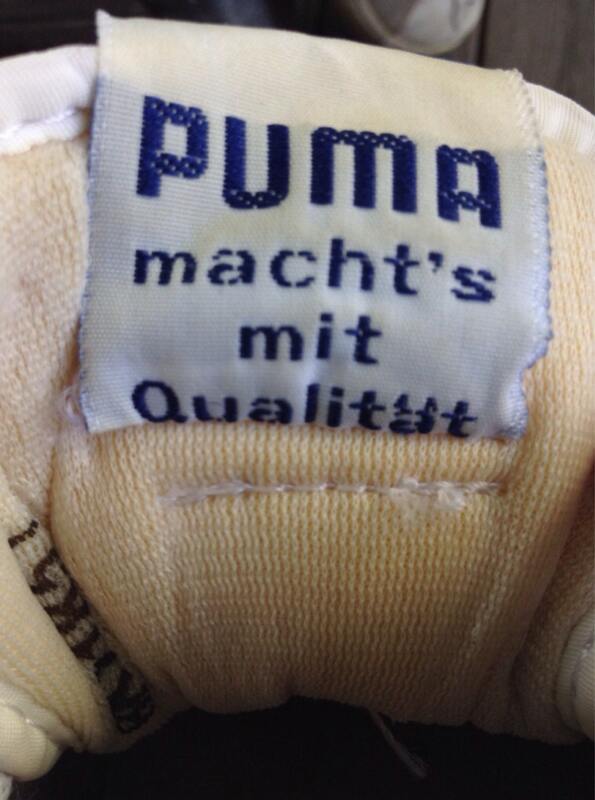 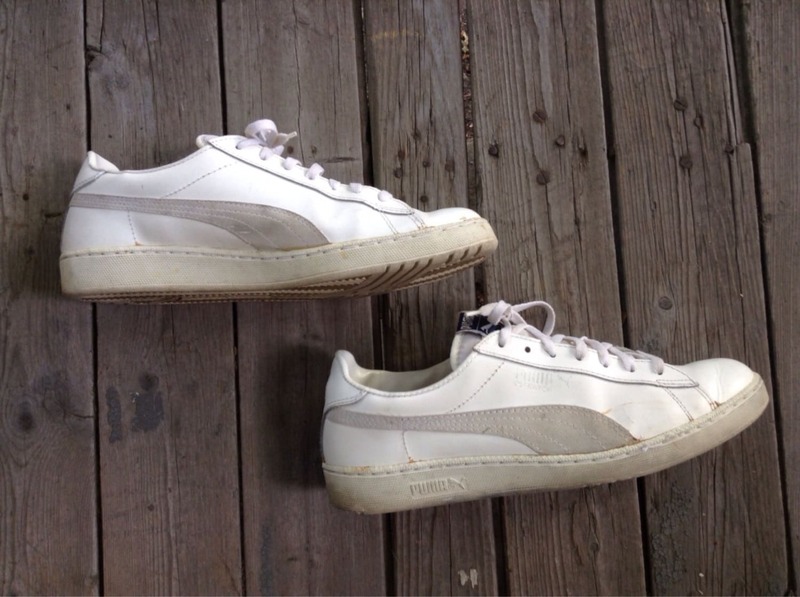 Here's a pair of original leather Puma sneakers from the 1980's. 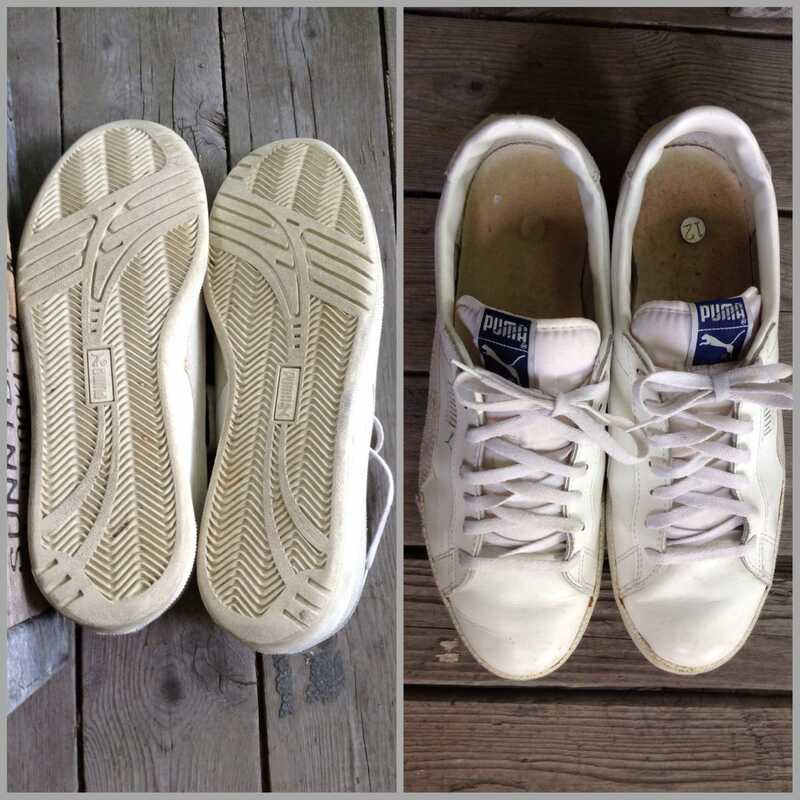 The rubber soles are nice and flexible. 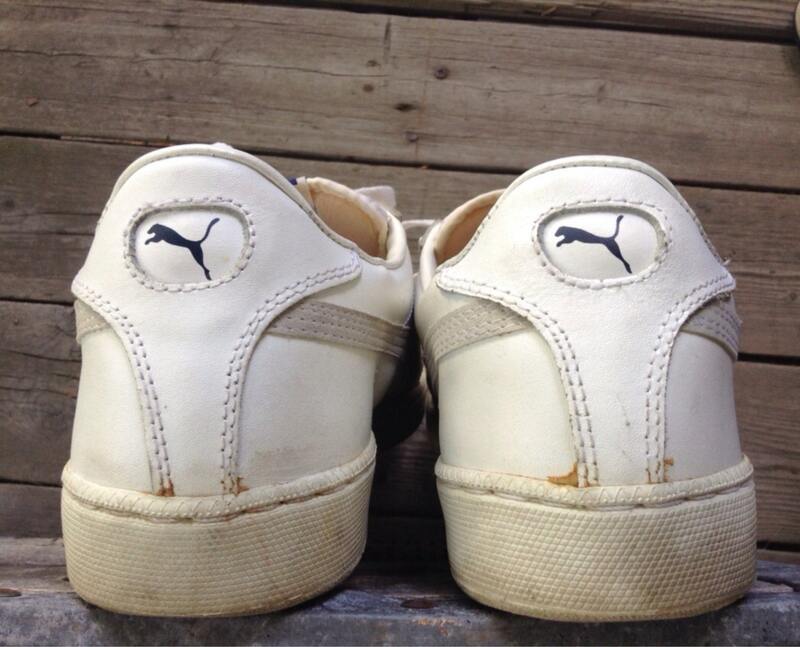 They're in excellent, gently used condition. 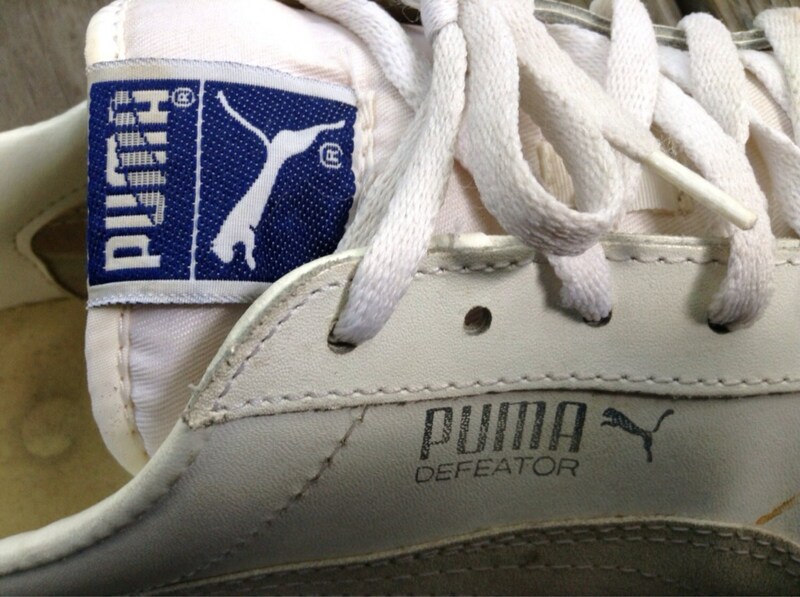 Label- Puma Defeater, Made in Taiwan R.O.C.